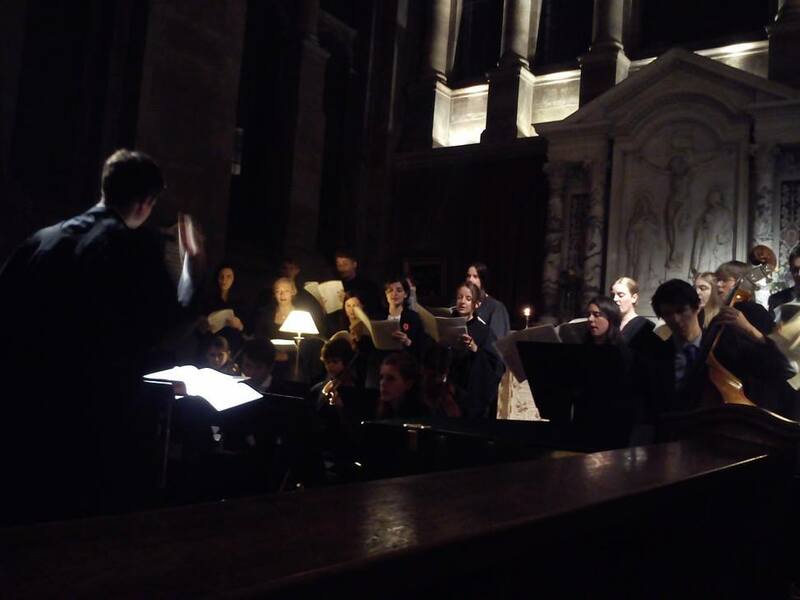 Last night, I had the great privilege of celebrating our annual requiem mass here at Hertford College Chapel, Oxford. The Chapel Choir, Soloists and Players, conducted by Senior Organ Scholar Ed Whitehead performed André Campra‘s Messe de Requiem. Listen to the recording below. Because of it themes of death and mortality, risen life and immortality, many composers have set the liturgical texts of the requiem to music. The requiem takes its name from the first line that is sung in the service: Requiem æternam dona eis, Domine, ‘Give them eternal rest, Lord’. The second line is et lux perpetua luceat eis, ‘and let light perpetual shine upon them’, and Campra focuses on the repetition of luceat, ‘shine’, as his keyword for the entire work. These two lines begin the introit, or entrance antiphon, but are repeated at various points in the service. André Campra (1660–1744) was variously maître de musique in Toulon, his home town of Aix, Arles, Toulouse, Montpellier, Notre Dame de Paris and the chapelle royale of Louis XV. He excelled in composing opéra-ballets, and this musical style influenced his sacred music, much to the ire of his ecclesiastical patrons. Campra’s Requiem is scored for a baroque chamber orchestra, choir and at vocal trio consisting of haute-contre, tenor and bass. Its movements include the usual ‘ordinary of the mass’: the Kyrie, Sanctus and Agnus Dei. Alongside these staples, he set the four proper antiphons for a requiem mass: the Introit, Gradual, Offertory and Communion antiphons. Strikingly, Campra omitted music for the lengthy requiem sequence Dies Iræ, with its fire-and-brimstone vision of the day of judgement, which had come to be seen as pastorally inappropriate. Neither did he set an excerpt from it, such as Lacrimosa or Pie Jesu. Instead, Campra’s glorious Offertory antiphon — the Domine Jesu Christe — takes centre stage, with surging, uplifting music as the priest goes to the altar and prepares bread and wine. Categories: liturgy, music | Tags: André Campra, Campra, chapel, choir, choral, funeral, Hertford College, Hertford College Oxford, Mass, music, orchestra, Oxford, Requiem | Permalink.